Joseph Blount Skinner 1781-1851, oil portrait by C.C. Fenn, courtesy Thomas W. Skinner. From my not having written to you before, I am afraid that you think me still in Norfolk. I wrote Sister a letter on my arrival in Norfolk, and as I told her the story of my adventures from the night that I left you until Saturday, I need only tell you what was my course, from that time until my arrival here…. Our “bloodthirsty season” has come again. You may recollect that I told you of a fight which occured between Christmas & the 22nd of Feb. last year. I must now tell you of one which I fear has terminated more fatally. There was a very small fellow here from the upper part of our state, who is very easily irritated by persons who tease him on that account. One of the students who boarded at the same house with him, was very fond of teasing him and Wood (the name of the small student) at last got very tired of it, and told the other that if he did not stop he would shoot him. He therefore borrowed a pistol loaded with two balls, and was sitting in his room when Scott (the name of the other) entered and commenced plaguing him. Wood said that he was armed, and cocking his pistol told Scott that if he touched him he would shoot. Scott being irritated at that, took hold of Wood then said something which made S. angry and he handled W. rather roughly, whereupon W. placed the pistol against Scott’s side & fired. One ball entered the hip bone, and the other entered but rebounded & fell upon the floor. 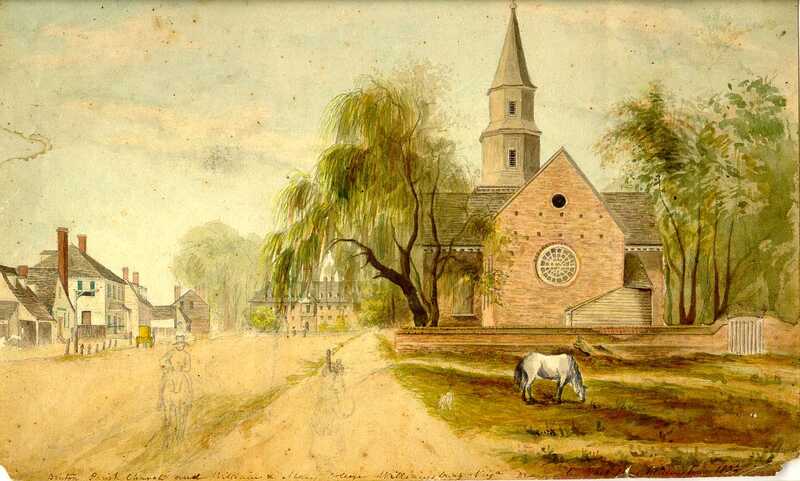 Williamsburg’s Main Street looking toward the College of William and Mary with Bruton Parish Church on the right. Watercolor by Thomas Millington, 1836. Special Collections Research Center, Swem Library, College of William and Mary. Wood then went to the college and cut his throat with a pen knife, but he cut it too high up, so that the knife entered his mouth, but did cut the wind pipe, partly through. He staid there some time but finding that he had not killed himself, he walked to the room of another student, & told him that he had killed Scott & was going to make his escape. The student seeing his throat cut told him that he must not think of going away, and offered to go after a doctor. But W. would not allow him to do so, and asked him to go & see if Scott was dead. He went & on his return saw nothing about S. but told W. that the police officers were after him. Nothing could then stop Wood. He started off on the Richmond road in a run, and he was tracked 18 miles the next day by some persons who went to stop him and have him attended to, but they were foolish enough to return without him because they heard that he was about 2 or 3 hours ahead of them. Nothing has since been heard of him. He left here at 10 oclock at night in the cold rain, & only stopped 1 or 2 hours at an old house on the road side early in the morning to dry and warm himself. I hardly think he reached Richmond. He is weak & sickly and after losing so much blood as he did, nothing but the great excitement he was in could have given him the strength to go as far as he did, and when forced to stop, he must have died. He could hardly be understood when he tried to speak, the wind would whistle so, though his mouth. 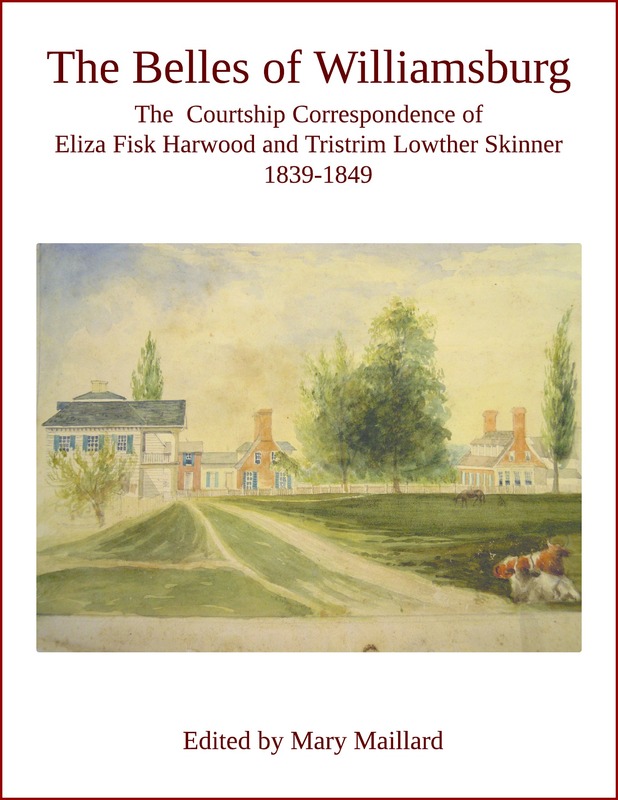 Tristrim Lowther Skinner to Joseph Blount Skinner, February 22, 1839. William P. Wood, 16, son of J. 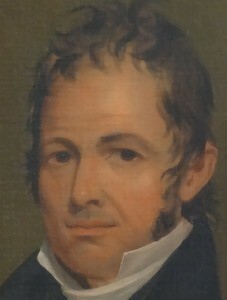 Wood, Louisburg, Franklin, N.C., boarded with Mrs. Mary Carter in Williamsburg in the 1839-40 session. 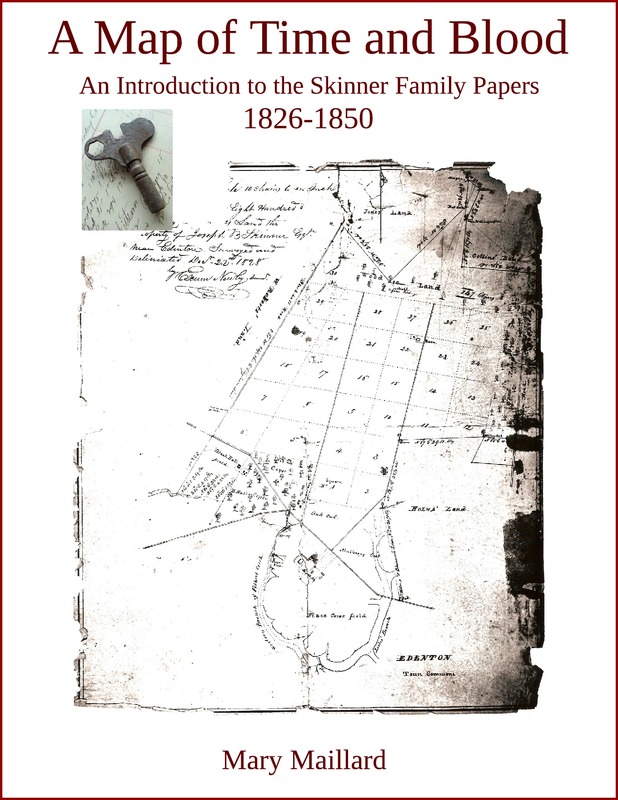 “Register of Students of William and Mary College, 1827-1881,” William and Mary Quarterly Historical Magazine, 2nd Series, Vol. 4, No. 1 (Jan., 1924): 58. Robert G. Scott, Jr., 19, of Richmond, like Wood, boarded at Mrs. Mary Carter’s. He was the son of Robert G. Scott, the U.S. Consul to Brazil. 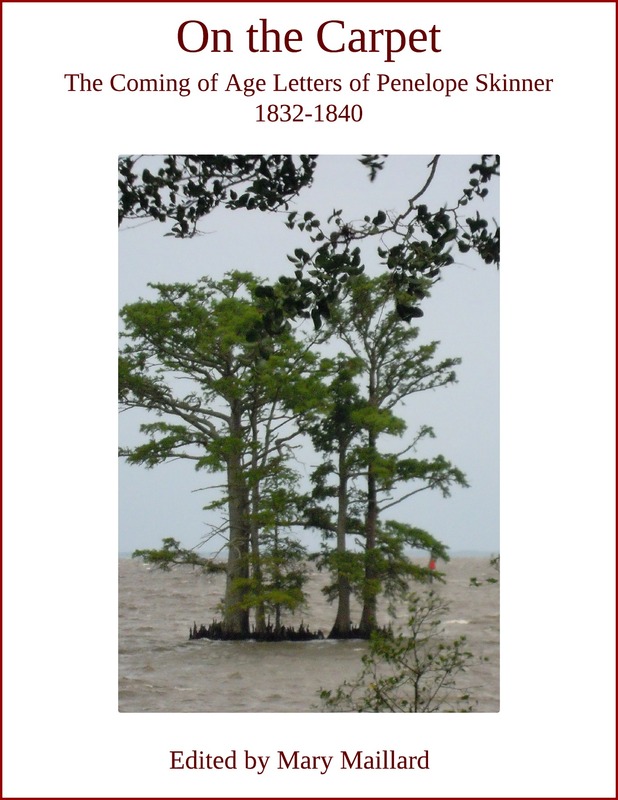 “Register of Students of William and Mary College, 1827-1881,” William and Mary Quarterly Historical Magazine, 2nd Series, Vol. 4, No. 1 (Jan., 1924): 62, 63; J.W. Randolph, The History of the College of William and Mary: From Its Foundation, 166, to 1874 (Richmond: J.W. Randolph & English, 1874), 128. The details of the “mishap” were confirmed in a letter from Professor John Millington to John Minson Galt, February 14, 1840, item 29, Folder 40, Box 4, Galt Papers I, Swem Library, College of William and Mary. 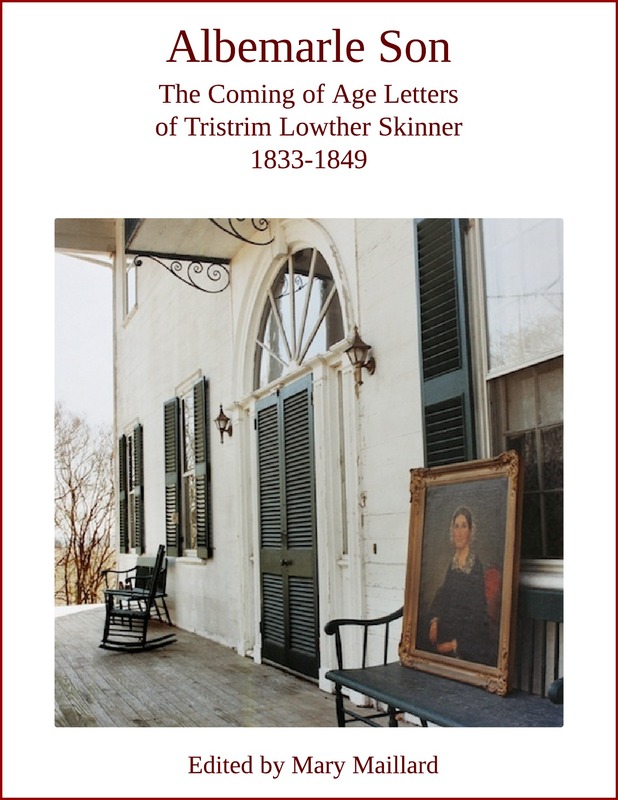 Excerpt from Mary Maillard, ed., Albemarle Son: The Coming of Age Letters of Tristrim Lowther Skinner 1833-1849 (2014) Kindle iBooks or Kobo.